A while back, the Firefox 2012 roadmap was announced and it included quite a few important changes, some of which are already available in the latest Firefox Nightly. 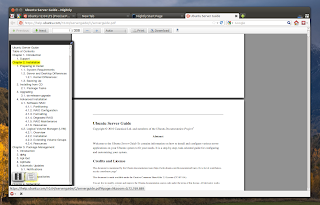 If you're not using Firefox Nightly and want to use the build-in Firefox PDF viewer, you can get the extension from HERE. 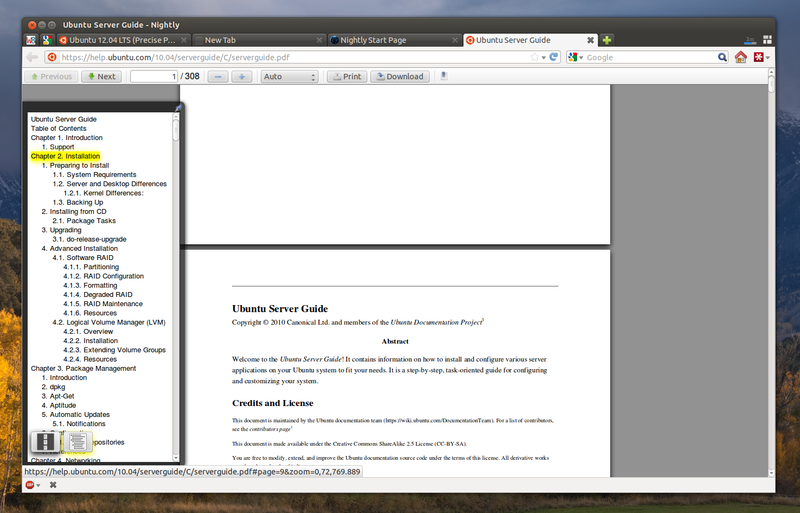 Debian users can use a repository to test Firefox and Thunderbird development builds - see http://mozilla.debian.net/ . 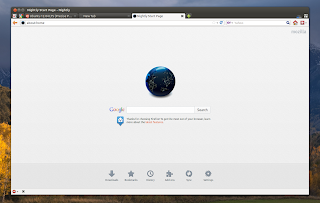 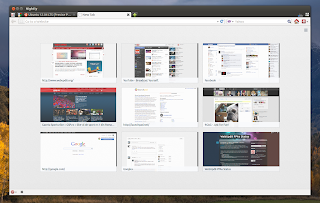 For other Linux distributions, Windows, Mac OSX or Android, you can download Firefox Nightly from HERE.